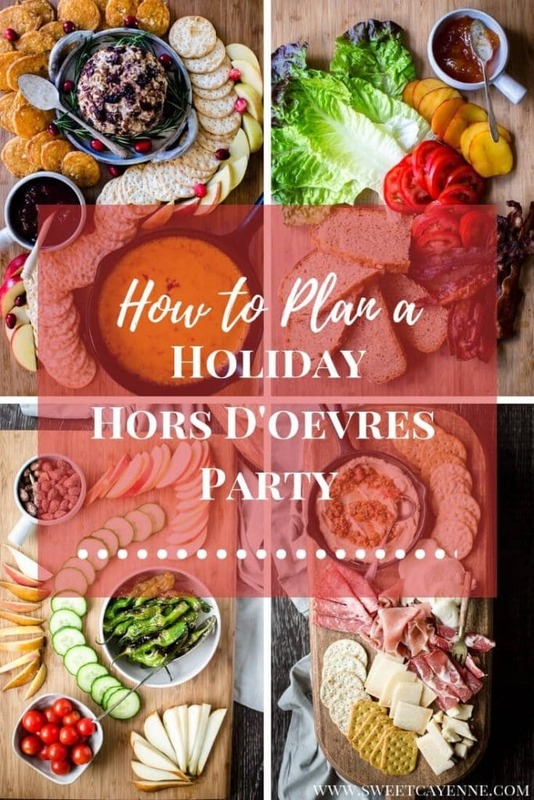 This post gives my step-by-step process for planning a hors D’oevres party! From figuring out how many varieties of foods to serve, to determining how many servings per person, and tips for achieving a good balance with the menu, I’ve got all the info you need here! As a personal chef, I’ve had the opportunity to cook for several Christmas parties over the past 8 years. For most of the parties, the host/hostess has requested a menu that is all heavy hors D’oevres that serve as the main meal. I’ve learned a lot through these experiences about the types of recipes that make for streamlined, stress-free service, how to achieve a good variety and balance with the selection, and how to plan for the right amount of food! This tips in this post assume you will be hosting an hors D’oevres party where appetizers make up the full meal. First, figure out how much food you are going to need. Having lots of leftovers after an hors D’oevres party can either be a blessing or a curse – a blessing if you like leftovers and have lots of storage space in your fridge, or a curse if you just want to be rid of it all once the party is over! The tips below will help you determine how much food you will need. If you know the guests you are inviting aren’t heavy eaters, plan for the smaller ranges of recipes and servings per person. For 10 people or less: 5-6 different appetizers with 4-5 pieces per person, per appetizer. 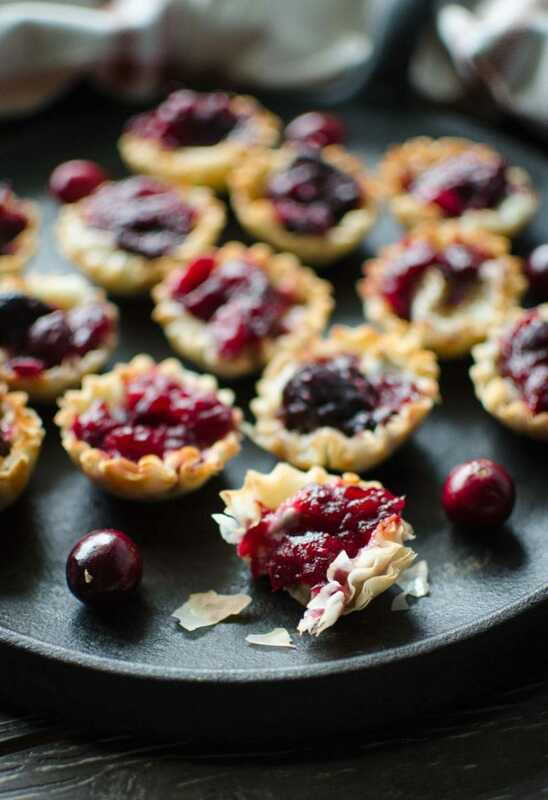 For example, if you plan to make Cranberry Brie Tartlets for 8 people, plan to make 32-40 tartlets to serve everyone. For 10-25 people: 6-8 different appetizers with 3-4 pieces per person. For example, if you plan to make Surprise-Inside Pimento Cheese Tartlets for 20 people, plan to make 60-80 tartlets to serve everyone. For 25-50 people: plan 8-10 different appetizers with 2-3 pieces per person, per appetizer. For example, if you plan to make Bacon-Wrapped Dates for 30 people, make 60-90 individual dates to serve everyone. Next, plan what recipes you’d like to use. Plan for the other half of your recipes to be served hot out of the oven or at room temperature. Cranberry Meatballs – serve out of slow-cooker. Hot dips like French Onion, Crab, Spinach-Artichoke, or Buffalo can be served in a warming or chafing dish. Savory pastry bites like palmiers and tartlets are best served hot out of the oven on a platter. Carved meats like pork tenderloin, ham, turkey, or thinly-sliced beef tenderloin still taste wonderful when served at room-temperature for pretty rolls and an assortment of spreads. Choose 2-3 recipes that don’t involve any cooking. This will mean that it’s either pre-made, partially pre-made, or just doesn’t require cooking. Examples include ingredients for an antipasto or cheese board, vegetable crudites with a dip that doesn’t need to be cooked, or a shrimp cocktail. Also, choose recipes where most of the prep work can be done up to a day ahead. Most people like to have their homes cleaned the day of a party, so if you can get the prep work done a day early, you’re more likely to enjoy getting yourself ready for the party on the day of! If you plan to let guests bring something, give them specific guidelines. Delegate items for guests to bring that don’t require any stovetop or oven space. 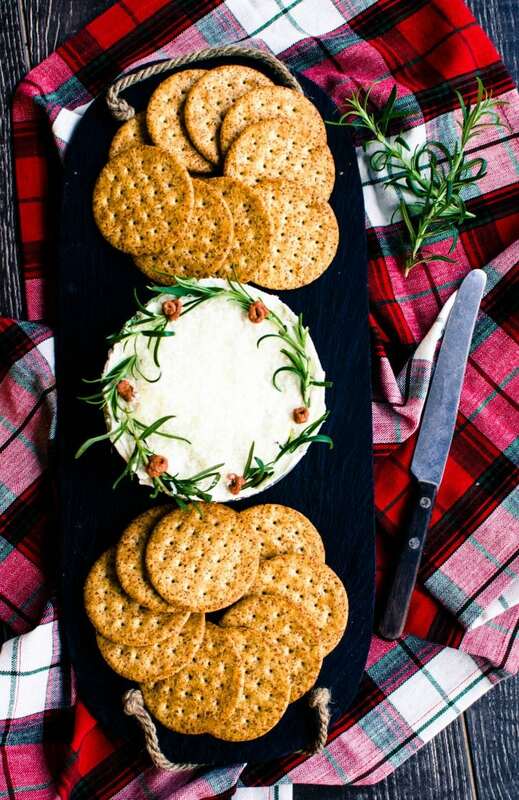 Items like veggies and dip, meat and cheese boards, cold dips, Christmas cookie platters, or beverages are great things for your guests to contribute that you simply just have to plan counter/table space for. Also, don’t be timid with specifying an exact item if a guest insists on bringing something! This will help you ensure that you maintain a good balance/variety with what is offered, and keeps your guest from “guessing” what might go well with your menu. Plan a slow-cooker drink station. 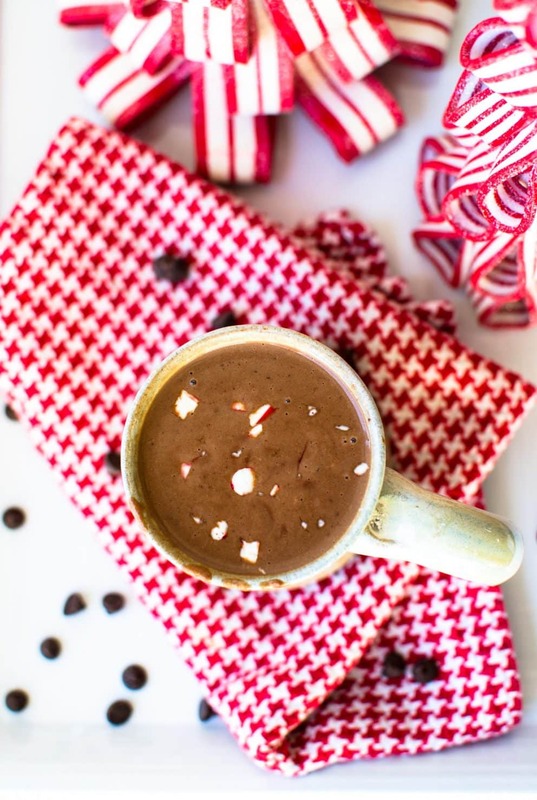 Spiced tea and sipping chocolate are great options and always end up being crowd-pleasers, but only choose one “special” beverage to serve and stick to simple canned/bottled drinks that can be store and re-used later. Use dessert as an excuse for a cookie exchange. Let guests provide plates of their favorite Christmas cookies, then have cute to-go bags or containers on the dessert table for people to pack on their way out! Pick a dessert that will serve a lot of people, then have various toppings available. I love a good cheesecake dessert bar that offers slices of plain cheesecake with festive toppings that you can customize for your slice. Or a hot fudge brownie sundae bar is always a fantastic option! And there you have it, my friends! If you find any of these tips helpful or have some of your own that you’d like to share, please leave a comment below and let me know! I’d also love to hear about any upcoming parties you are hosting or are excited to attend!